Need an extra large topiary? as snow, snow, and rain. 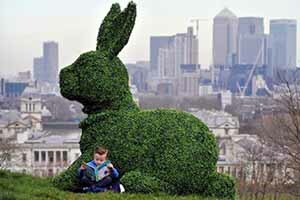 Need Live Topiary Animals Formations that are Alive for Commercial Use? 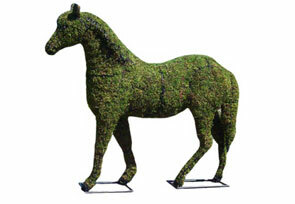 We offer the most extensive selection of custom topiary art forms that you can buy online. 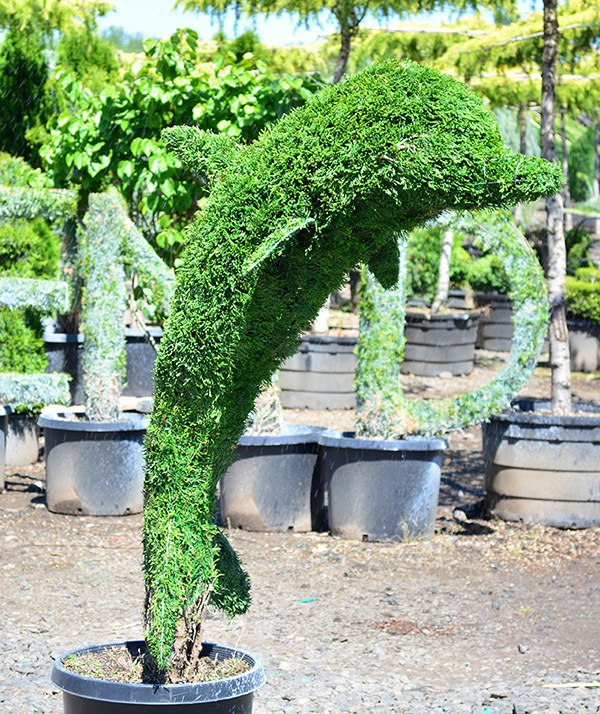 We use only the most talented topiary artists in the business to provide beautiful topiary designs for our customers. Potted topiary plants, especially those accented with red ribbon can be displayed outside to provide an elegant appearance. Whatever your design tastes, we can most certainly accommodate you. 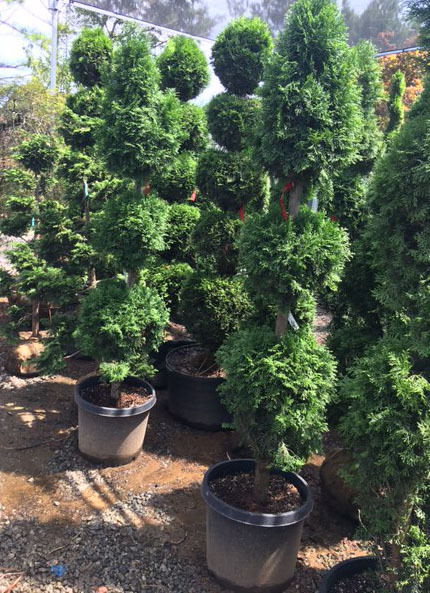 We have a wide selection of topiary that ranges from preserved boxwood topiaries to double pond cypress spirals. You can use our topiary to decorate your cottage garden, front yard, backyard, front doors or anywhere else you have in mind. 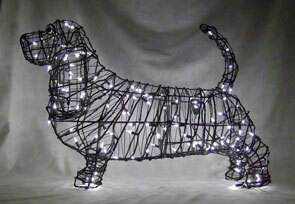 Many people who use topiary require outdoor lighting, but this doesn't always have to be the case. We also offer faux topiary for indoor or outdoor options. With that being said, live topiary plants are simple to maintain and will last throughout the winter season. Since topiary complements any decor, we suggest selecting one or picking up a few as gifts. Speaking of gifts, Christmas topiary is always an excellent choice. Nothing sets the holiday mood like Christmas décor! We offer Christmas trees and Christmas wreaths. If you wish to transform your yard or garden into a beautiful work of art, outdoor topiary trees will be the best choice for you. 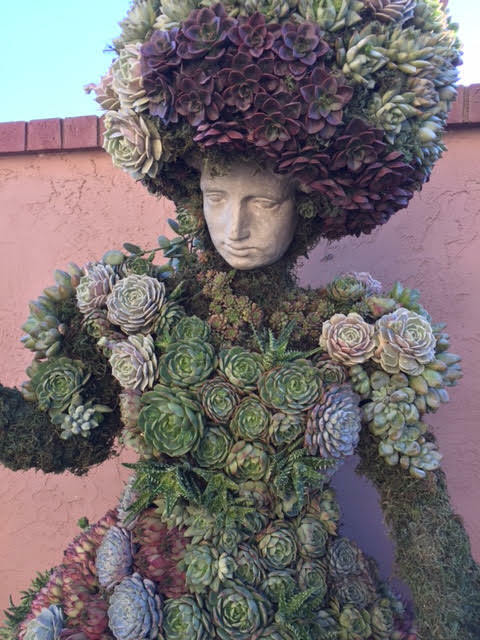 If you've visited professional topiary gardens, you likely left in awe. There’s no reason that your own garden can't leave the same effect on your own visitors. Our topiary is perfect for those who enjoy an outdoor living lifestyle because it gives you something beautiful to admire as you enjoy the great outdoors. Our topiary is even UV resistant. 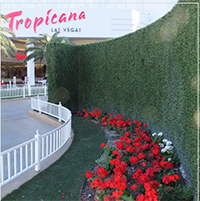 We offer a variety of outdoor topiaries, the first being made of poly blend material that can endure most artic/heat weather conditions. We also offer real topiary trees that grow in your garden and trees in pots. Our Boxwood topiaries are grown in the shape of a globe and trimmed at a young age so that they achieve a tight full look. 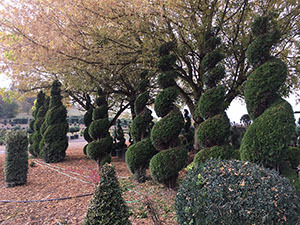 Most growers neglect to go through this simple process, and as a result of their boxwood topiaries never achieve a perfect shape. 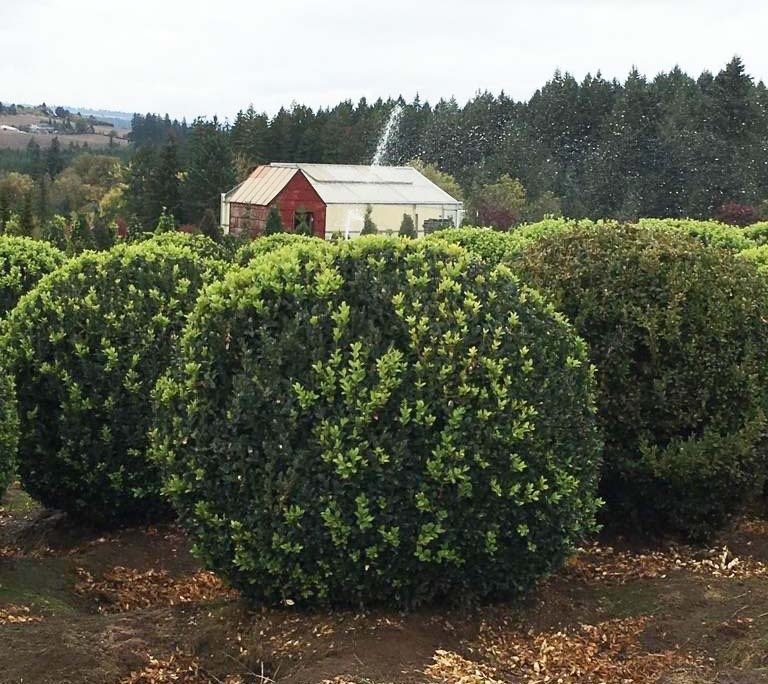 We also provide boxwood spiral designs, boxwood double ball designs, and artificial boxwoods! Buy your spiral topiaries here! No matter your selection, our spiral topiary trees are high quality. The cypress spiral topiary is absolutely perfect for a front gate or porch! Our Boxwood topiaries are grown in the shape globe and trimmed at a young age so they achieve a tight full look as shown. 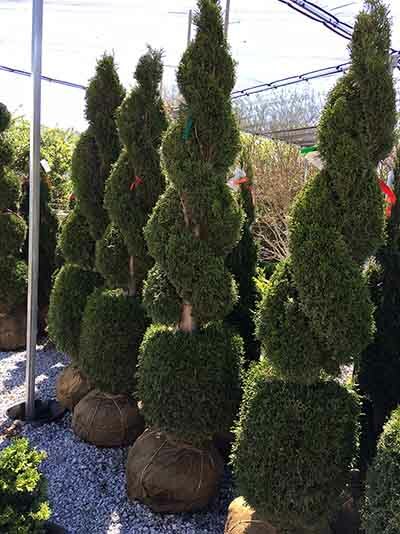 Most growers typically send a boxwood globe that is cut into a globe before it is shipped and will not have this full look as they were not grown as globe at a young age. 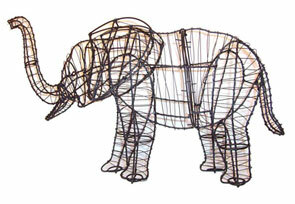 Explore our topiary animal sculptures that are available in a variety of styles. Once your order is received, we ship it out immediately. These are ideal as gift baskets, special events, Christmas ornaments, garden sculptures, mossed (topiary framed in metal and filled with pre-dyed Sphagnum Moss - perfect for planting) or lighted (yet another metal frame topiary wrapped in clear mini lights for holiday or event decorating). Whatever your topiary needs, we have them. 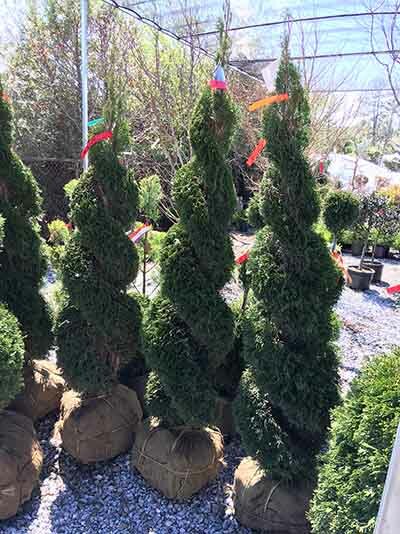 Whether you’re looking for a pot set, indoor and outdoor selections, artificial topiary trees, or all of the above we’ll provide you with a beautiful variety of topiary to spruce up your landscape design. Are you looking for ivy topiary? We have it! Looking for a double ball topiary design? We have that too! 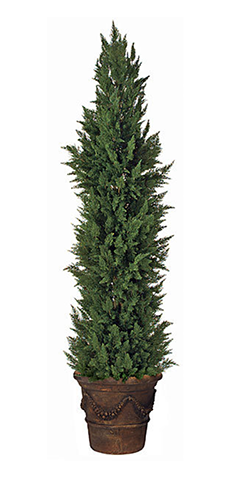 We also offer cedar topiary, upright junipers, and DIY topiary as well. No matter your topiary arrangement, you’ll be able to find something to suit your needs. Not interested in caring for a living plant? That’s fine. We also offer artificial topiaries and artificial flowers! That way you’ll have all the beauty of a topiary arrangement without the hassle of caring for real plants. 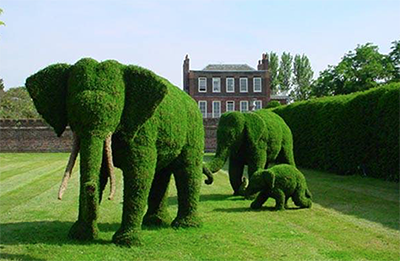 We understand that not everyone has the time to care for their topiary. Artificial plants, as well as artificial trees, are a sound alternative that requires little maintenance. With so much to choose from, we suggest that you take things slow. 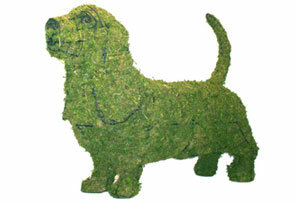 Our topiary can be used by novices, home decorators, or anyone else who wishes to beautify their property. From double ball topiary to floor plants we’ve got you covered. Take a look, all product details are listed inside!